In an age of rapid change and modernization, hot words such as innovation, research and development, and growth are popularly thrown around. However, what many are still to realize, is the relation of innovation and companies that have nothing to do with lab coats. Innovation is for everyone. In fact, Business Insider claims that, “innovation is good for income.” Innovation can be the adaption of a product manufacturing line to include newly redesigned technology or functionality. Innovation can be the development of new software technology that allows vehicles to autopilot completely, differentiating that company from the market. Innovation can be the research and creation of a new screening technology for cancer within the body. 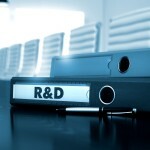 Through the process of research and development (R&D), innovations can increase income when successfully applied. The world’s most successful and innovative companies are known for their large R&D programs turning innovation into business and revenue. Business Insider reports that the majority of innovation stems from previously existing ideas that are then adapted and altered. For companies that are not yet profitable or for startups investing in R&D, the research and development tax incentive is a valuable tool.